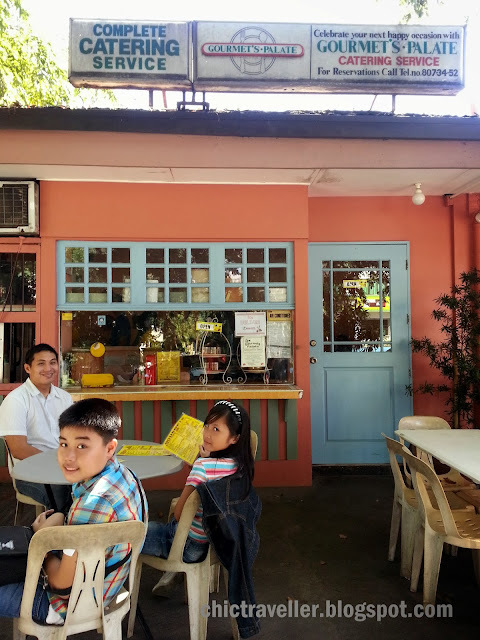 One Sunday after church, the family decided to look for a BF place for lunch. We decided to eat at Gourmet's Palate, best known for their charbroiled burgers. Ever since we moved to the South, my husband has shared that this place is a staple in BF and I wanted to try it out with the kids. They have a lot of selections for their burgers. They have even given them cool names like Blue Thunder (Blue cheese Burger P110), Aussie Burger (Burger on the Barbie P105), Islander (Coleslaw Burger P95), Red Alert (Spicy Burger P95), and many more. 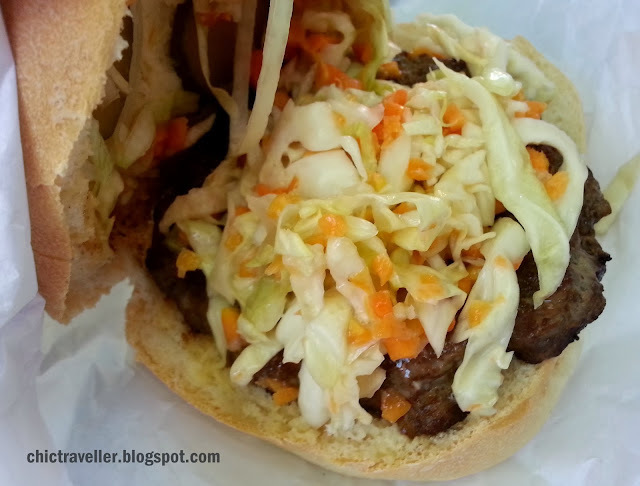 I got the Islander because I wanted to try out their coleslaw. The burger came and sadly, I wasn't really impressed. The Islander was dry. I expected a mayo-based sauce to go with it, but it seems like it didn't have any or it was too little for me to notice. Good thing I liked their garlic sauce. I kept on putting the garlic sauce to make the burger taste better. 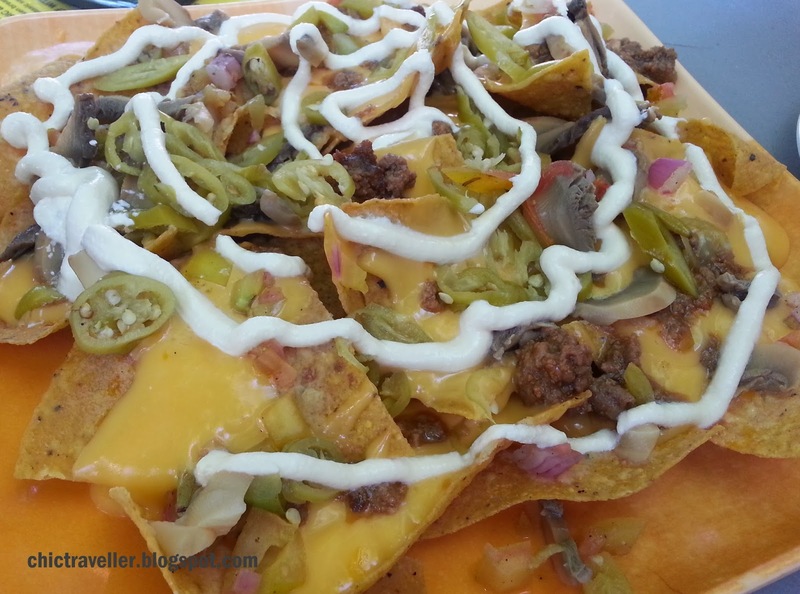 We also ordered the Nachos Loaded (P120). The toppings were okay, but the nachos seemed a bit old. We weren't able to finish it. I'm sad that I didn't have a good experience for my first time at Gourmet's Palate. Maybe I had high expectations given rave reviews from everyone, or maybe it was just a bad day for them. When we arrived for lunch, the place had a couple of tables filled. Some of the customers ordered rice dishes. Maybe I'll try those next time.